What's 'five, 1980s manufactured 24k gold inlayed hand made blue porcilon of Greek Gods' Worth? 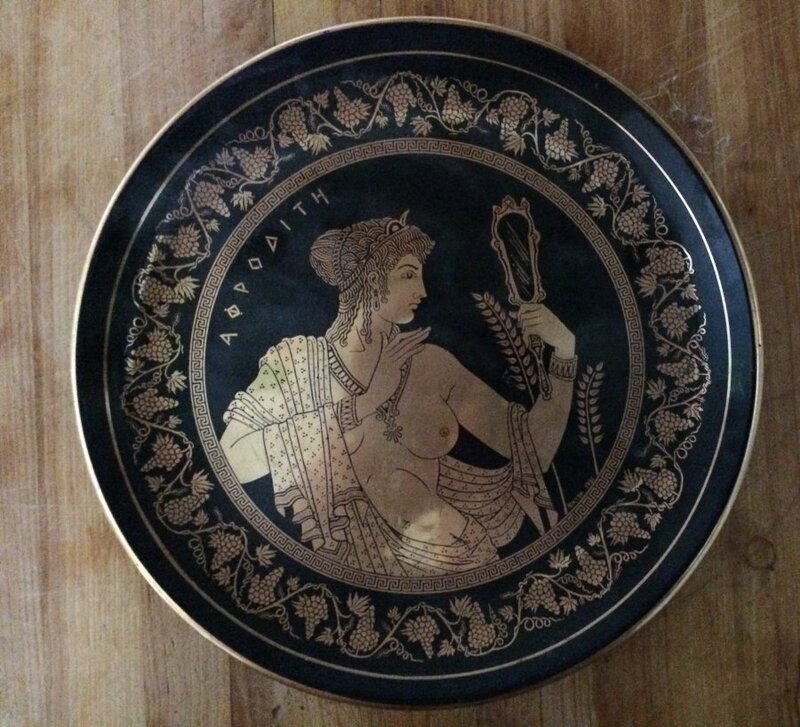 I'm looking to find out what 'five, 1980s manufactured 24k gold inlayed hand made blue porcilon plates of Greek Gods' is worth. There is a unique gold potter's mark with a stylized letter S encircled by a tall rectangular uninterrupted Egyptian script style chain. I have photos for viewing. What's 'Vase made in occupied Japan' Worth?